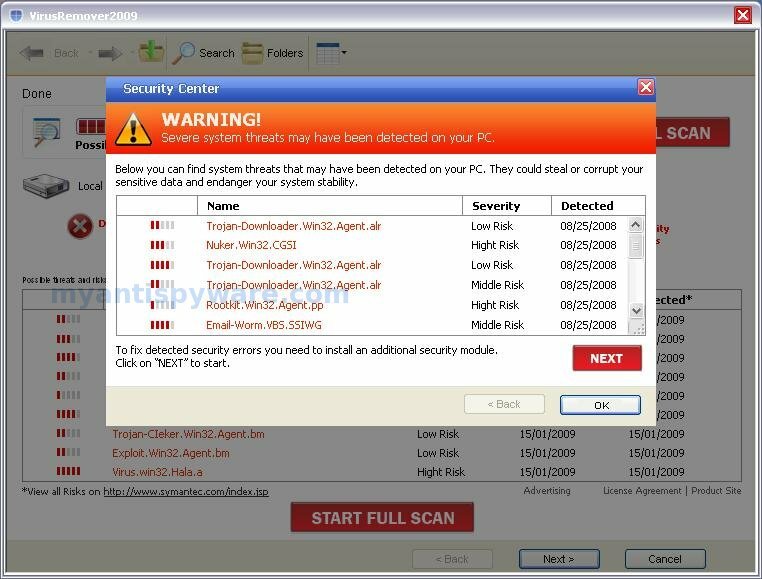 VirusRemover2009 also known as VirusRemover 2009 is a rogue antivirus/antispyware program, brother of VirusRemover 2008. The program uses fake alerts and false positives to trick you into buying the software. 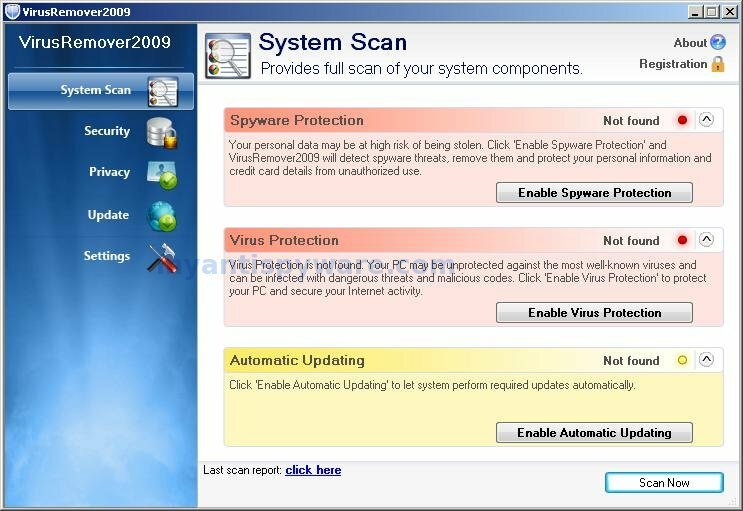 During installation, VirusRemover 2009 configures itself to run automatically every time, when you start your computer. Immediately after launch, the program starts scanning the computer and found a lot of trojans and spyware, some of these “infections”: Zlob.PornAdvertiser.ba, W32.Mumawow.Y, Trojan.Killwma and others. All these infections are fake. Then VirusRemover2009 said that you should purchase the program in order to remove them and protect your computer. 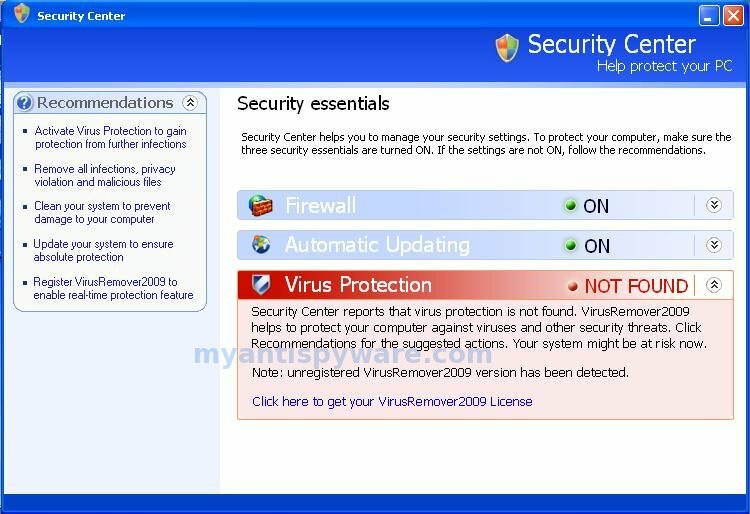 While VirusRemover 2009 is running your computer will display fake Windows Security Center called XP Security Center that will recommend you register VirusRemover2009, fake security alerts from your Windows taskbar and fake firewall alerts. Please ignore these alerts. Use the free instructions below to remove VirusRemover 2009 and any associated malware from your computer. 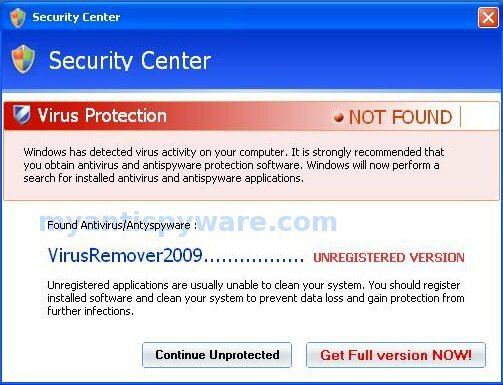 Use the following instructions to remove VirusRemover 2009 (Uninstall instructions). When the scan is complete, click OK, then Show Results to view the results. You will see a list of infected items similar as shown below. VirusRemover 2009 creates the following files and folders.